And just like that we're in a new year! It feels good, right? All fresh and clean and energized - I love that feeling. (And you knew I would have to include some pink and green in the first post of the new year, right?!) I want to kick 2013 off on the right foot and get some input from you all. I know there are lots of you out there who read daily but don't comment, email, or tweet. Yes, I know you're there! I want to hear from you all about what you enjoy here and would like to see more (or less) of. I've thought about setting up a survey for readers to fill out and then never get around to it. So, I'm going this route first and hoping you'll jump on board! In 2012 I hosted a You Need to Know series in which I featured some favorite bloggers. Did y'all like that? Would you like to see more guest features/posts over here? Also, toward the end of the year I started doing some personal style posts. 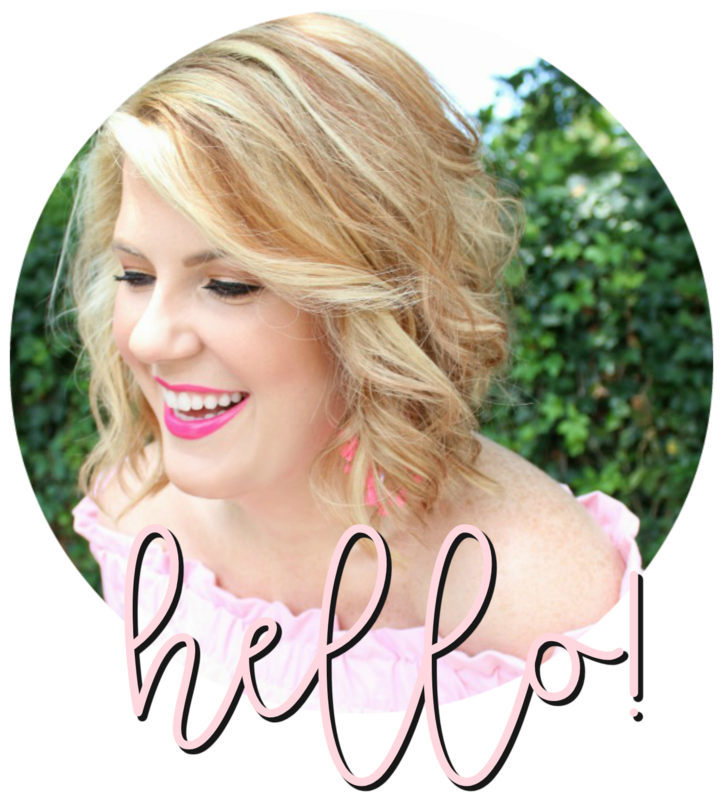 While this blog will never be strictly a fashion blog, I do enjoy giving you a glimpse at my style - judging from comments and pageviews on those posts this is a keeper. Yes?? I've had some requests (mostly via twitter and instagram) to share some how-to posts - my makeup routine, how I do my hair, etc. Is this something y'all would like to see? I've never done these kinds of posts, but would be willing to experiment! Give me feedback, y'all! And don't just stick to the questions above. If there's any other ideas you have, I would love to hear them. And if you prefer to still fly under the radar, you're welcome to email me - julieleahblog@gmail.com. I'm so excited about this year, you really have no idea! Thank you for being, well, awesome. i love any beauty and style post! Fashion and beauty are always fab! I like when you infuse YOU into your posts. Just keep on doing what you do so wonderfully! You make great connections with your readers, that is why we love ya! Hi Gorgeous Girl, Happy New Year to you! 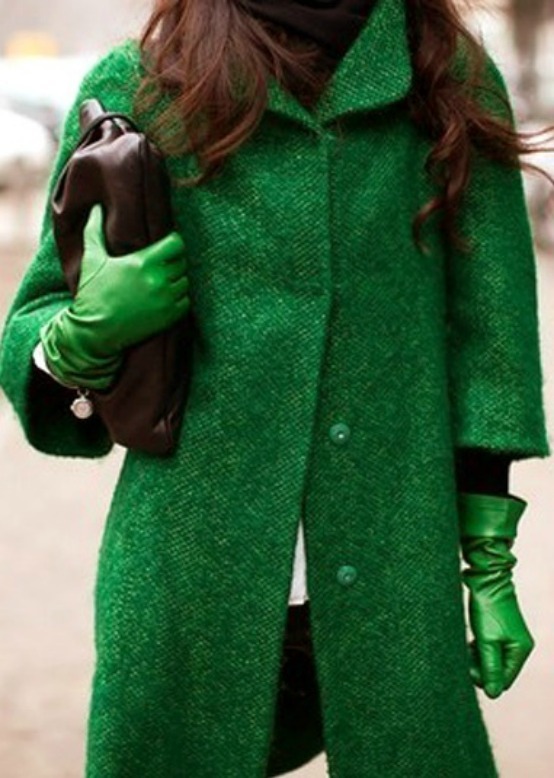 I LOVE the green outfit in the image you've shown, so stylish. I love your style & beauty posts always. Have been reading your blog for some time now & just love it. I am guilty of not commenting but I definitely read :) Some of my favorite posts of yours include your personal style, because its the most relatable. As much as I love high fashion, I like seeing realistic fashion that works for the normal working girl. Looking forward to a new year & more posts! I love your blog! I would love to see more of your outfit posts, but other than that keep doing the amazing job you are doing. Your blog is definitely one of my favorites! More original content! You always post lovely pictures, but I feel like I can see the same things on your pinterest. I like when you post pictures or notes on your own outfits, etc. I would also love to see some lifestyle posts and how you maintain positivity (for me this tends to come through via your instagram pictures). I love the featured bloggers/guest posts. I always find the best blogs that way! I'd love the tutorials too. I'm a complete spaz at doing my own hair so I rely on YouTube videos and Pinterest tutorials to figure out what I'm doing! I would love to see some hair and makeup how to's! I'm always stunned by how gorgeous you look in your instagram shots! I need some help! I love being introduced to new bloggers. I love the "You Need to Know" series!